If you’re planning a winter wonderland wedding, you’ve likely considered the venue, flowers, music and the dress (of course), but what about the menu? 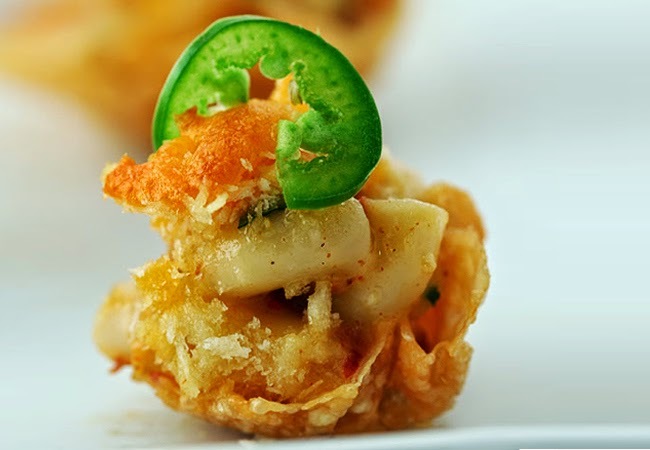 While your caterer will present you with their top dish ideas during your menu tasting, it’s a good idea to provide your chosen chef with some general ideas and sense of direction you would like to see your menu go. It is one of the biggest, most special days of your life after all, and just like the vows you exchange, the food should be unique to you and your forever sweetie. 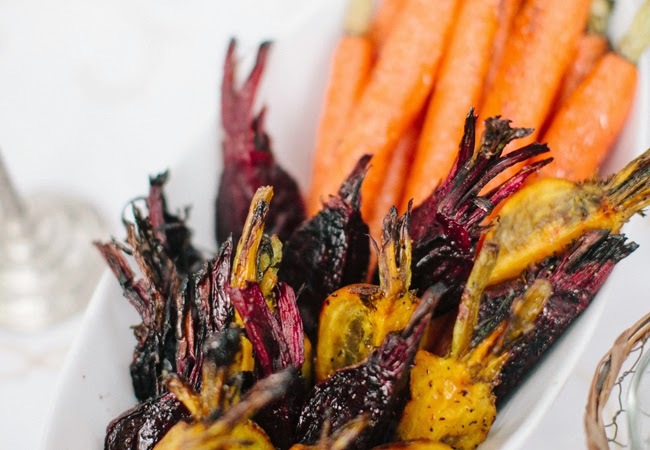 So what’s hot and trending in the winter wedding food scene this season? Read on for some winter wedding menu ideas and some do’s and don’ts you won’t want to miss. 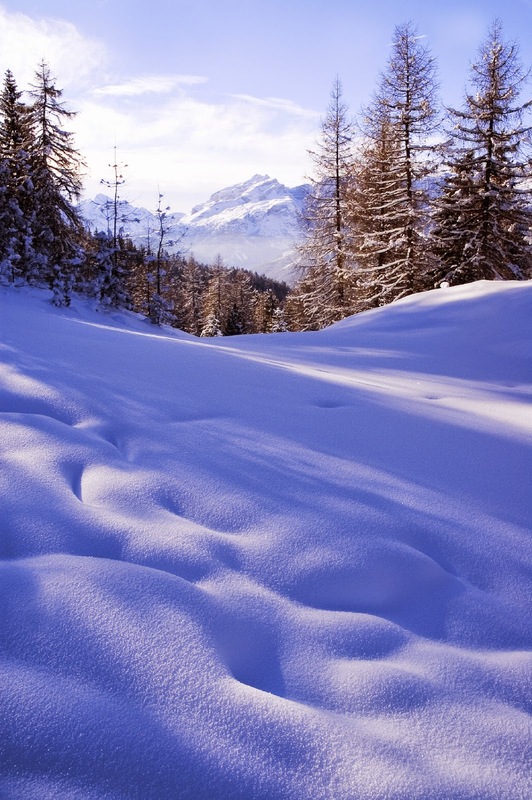 What’s the first thing that comes to mind when the weather turns cooler? Comfort foods – it’s all about the comfort foods! Comfort foods are not only delicious, they are also notoriously known for being messy, but don’t let this stereotype scare you away from incorporating them into your menu. Just do them in smaller, easier to eat ways because no one wants to eat a cold salad on a cold winter day. 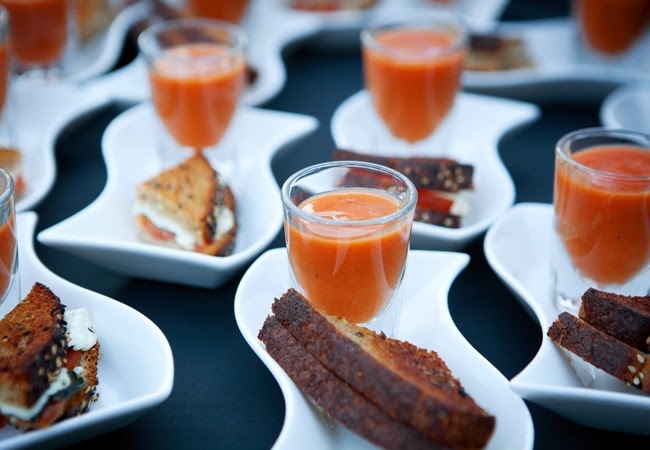 Okay, so eating tomato soup while wearing a beautiful white wedding dress may not sound like the best idea but turning it into a soup shooter instead of slurping it from a bowl takes (most) of the danger out of it. Besides, what’s a cold winter day without some warm soup and ooey-gooey grilled cheese to sop it up with? Mac-n-cheese is one of the first things that comes to mind when talking about comfort foods. Shrink this comfort food classic down into bite-sized pieces for a completely satisfying and heavenly one-bite snack – no guarantee that you and your guests will only eat one though! While apples make their first and main appearance during the fall months, apples carry over to the colder winter months extremely well – think warm apple cider. 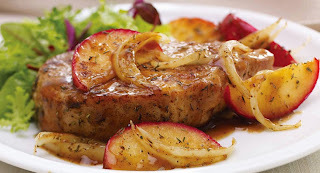 Try a take on this recipe from McCormick that pairs pork chops with red apples and savory sage and thyme herbs. 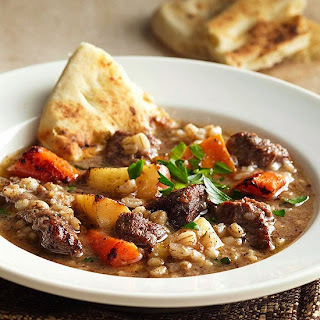 Beef stew is definitely not a dish you will traditionally find on a wedding menu, but then again, that’s the point! Pleasantly surprise your guest’s palettes with a warming beef and barely stew that is as appetizing to the eyes as it is to the taste buds. Not all winter-tastic dishes have to be heavy, loaded with cheese and carbs, and just down-right unhealthy. Introducing seasonal roasted root vegetables. Not only will they satisfy the vegetable quota of your entree, they bring a beautiful splash of color to the table – decorations from nature. 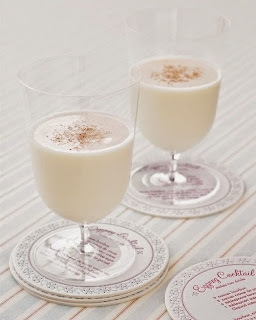 Don’t forget to serve up some seasonal spirits like this Eggnog Cocktail courtesy of the one and only Martha Stewart. A cold weather classic, eggnog is turned up a notch with the addition of bourbon and white crème de cacao. Get the full recipe here. 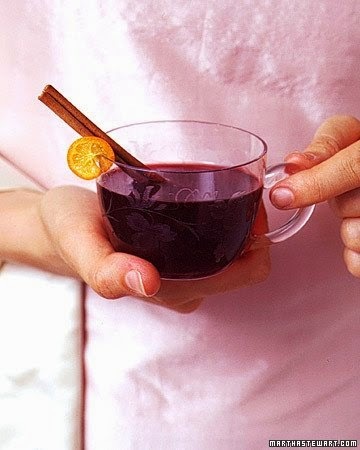 If eggnog is too heavy or just not your cup of tea, try this winter-in-a-cup recipe for mulled cranberry cider with port, kumquat rounds, and cinnamon stirring sticks. Of course, you can never go wrong with a well curated wine list. Certain types of wine profiles are best in warmed, spring and summer temps while others are definitely better paired with dropping temperatures and its matching fare. 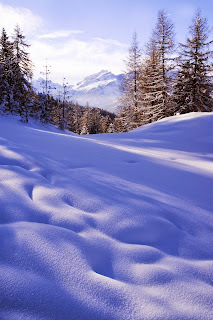 And if you’re like us and know little more than that wine is made from grapes and that it tastes good, especially when sipped alongside food, you best take some advice from leading wine experts on the best wines for winter. Bonus: Every bottle on this list costs just $20!